The Rangitāne tribe are descended from Whātonga, who came to New Zealand from Hawaiki as a captain of the Kurahaupō canoe. As testament to early tribal expansion, their marae can still be found throughout the country. The people of Rangitāne are descendants of Whātonga, captain of the Kurahaupō canoe. The canoe arrived at Māhia Peninsula on the East Coast of the North Island. The tribe take their name from Whātonga’s grandson, Rangitāne (also known as Tānenui-a-rangi). 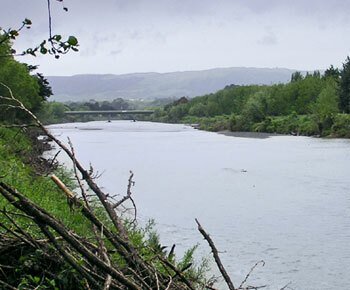 At first Rangitāne lived in the Heretaunga (Hastings) area. Later, they travelled south and occupied Tāmakinui-a-Rua (present-day Dannevirke), Wairarapa, Te Whanganui-a-Tara (Wellington), and Wairau in the South Island. They also moved west to Manawatū and Horowhenua, the tribe’s main centres today. In the 19th century northern tribes moved into Rangitāne’s western territories, and there were many battles. European settlers later took possession of much of the tribe’s land in the Manawatū and Dannevirke areas. Although Rangitāne turned to farming in the 20th century, many had to sell up and move to the towns. Rangitāne had strong leaders who helped the tribe adjust to change in the 19th century. They encouraged the people to work with Pākehā. In the 20th century Rangitāne leaders were involved in local and national politics. Te Rūnanganui o Rangitāne was founded in 1988 as a forum for the various tribal committees to discuss national tribal matters. There are seven Rangitāne marae, and some new meeting houses have been built. Almost 4,700 people said they were affiliated to Rangitāne in 2013.